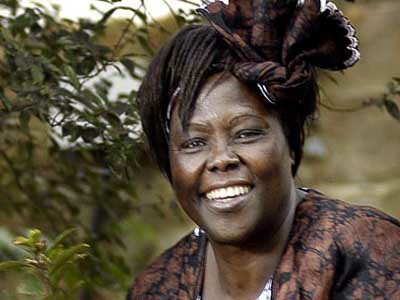 WHO SHE IS: Wangari Maathai (1 April 1940 – 25 September 2011), Kenyan feminist, environmental and political activist. WHAT SHE HAS ACCOMPLISHED: In the 1970s, she founded the Green Belt Movement, an environmental organization that empowers women by planting trees to restore their environments. She was one of the first to pioneer this practice among grassroots campaigns for environmental conservation. According to The Guardian, “Her disdain for the economics promoted by Britain, the World Bank, and the west was huge: ‘The people at the top of the pyramid do not understand the limits to growth and they do not appreciate that they jeopardize the capacity of future generations to meet their own needs,’ she said. 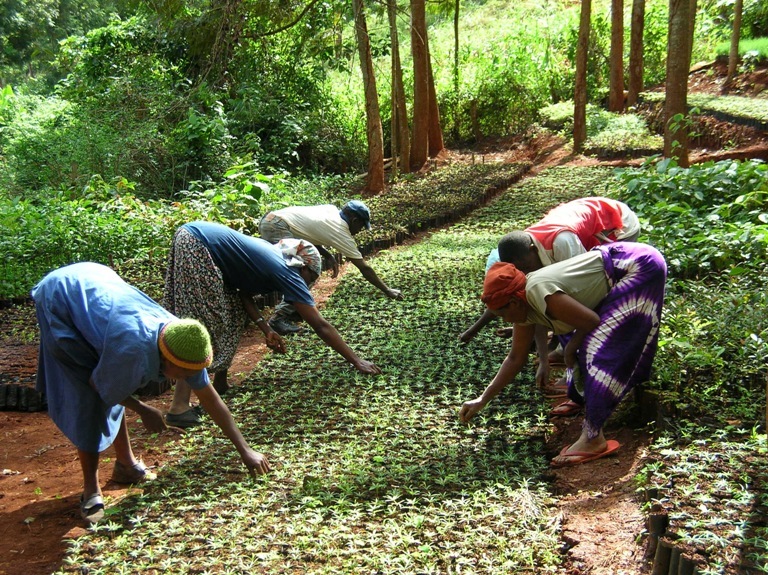 Over the next 20 years, tens of billions of trees were planted by women as a direct result of her work. For this, she became the first African woman to win the Nobel Peace Prize (2004) for “her contribution to sustainable development, democracy and peace.” She is known as one of Kenya’s greatest heroes of the last 50 years. WHY WE LOVE HER: Mathaai’s politics was on point and her principles were put into practice. She combined environmentalism and feminism; she built an ecofeminist movement that went worldwide, united female poverty and environmental concerns to fight against patriarchy and for climate justice. She was fearless, responding to extreme political repression with public acts of resistance, such as home barricades, hunger strikes and clashes with the police. Through it all, she wore traditional dress, repping for her culture. She remained defiant in her personal life as well, refusing to allow her husband to control her. Her passion, her example, and the grassroots model she used will continue to inspire women as we fight for revolutionary change.